The Ohio Hi-Point Career Center hosted the annual Sloan Reception in celebration of the late Dr. Earl Sloan on Sept. 12 in the Sloan Inn. The event was an opportunity for students and staff to thank the Sloan Trustees for the vital support given to the career center. During the celebration, students shared about preparing for career success with the help of the equipment provided by the Sloan Foundation. Student speakers included Collin Henry from the Diesel Technology program, Skyla Plank and Shelby Nicholl from the Animal Science program, and Adrian Blanken from the Cosmetology program. The Multimedia Marketing students presented a video showing the students working with the latest technology and industry equipment in the lab made possible through the Sloan Foundation. The Printing and Graphics program instructor, Tom Carrig, presented the Trustees with Dr. Sloan t-shirts that his students designed and printed, as well as 2018 yearbooks produced using equipment purchased with funds received from the Sloan Foundation. 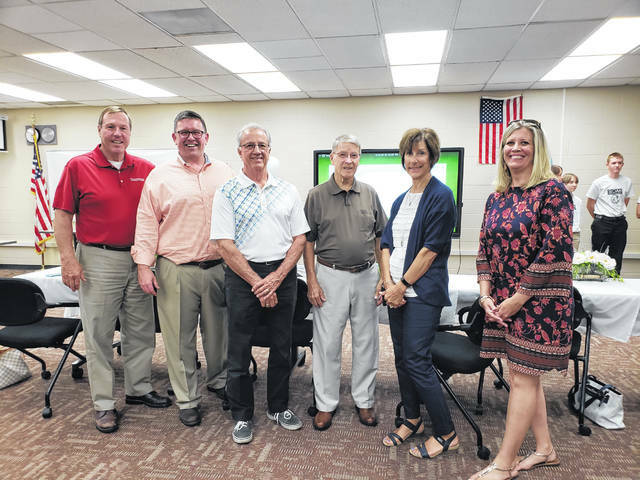 The support of the Trustees has pushed Ohio Hi-Point to the front lines of advanced technology; providing robots, programming, medical equipment, digital technology, and much more to students who enroll in Ohio Hi-Point programs. Dr. Earl Sloan, in his Last Will and Testament, established the Sloan Foundation in 1920. Sloan listed the Trustees to establish and maintain a school for teaching trade education to students in Logan County. The Sloan Trustees are Harold Marker, Tom Simon, Chuck Earick, Sandy Aler. 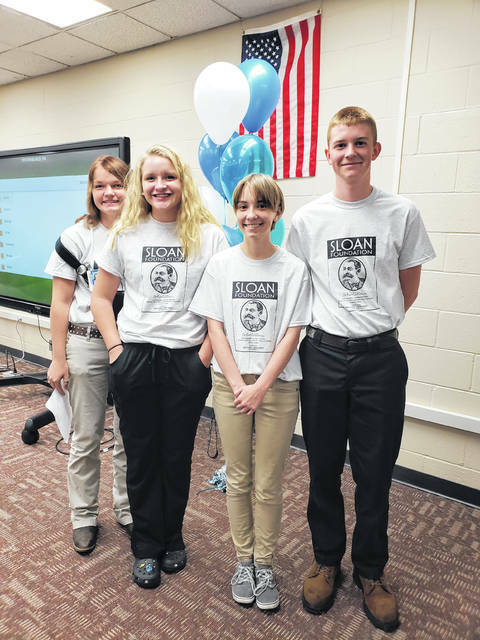 To date, the Sloan Foundation has given over seven million dollars to benefit students in Logan County. Submitted by Allerton Hill Consulting, LLC.